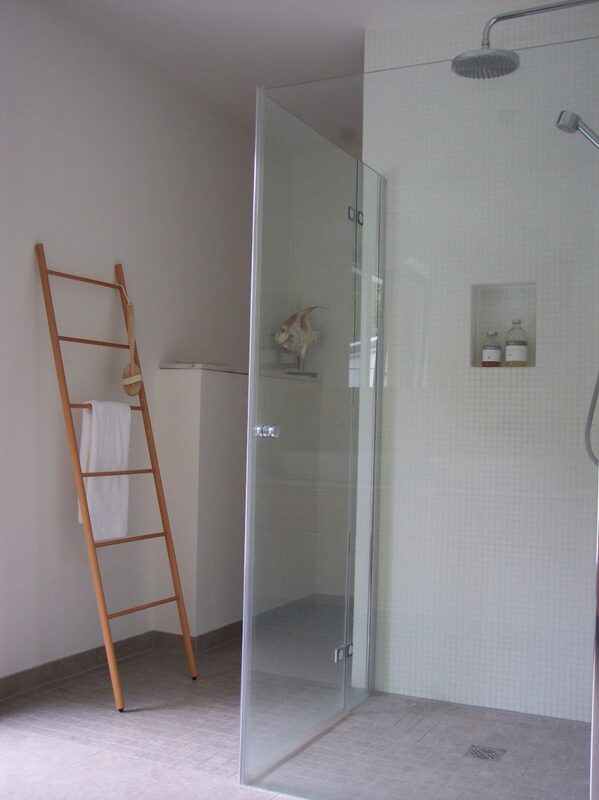 Resort style spa bathroom for the parents, a bright, fresh and green space for the kids and something unique and understated for the guest bathroom. 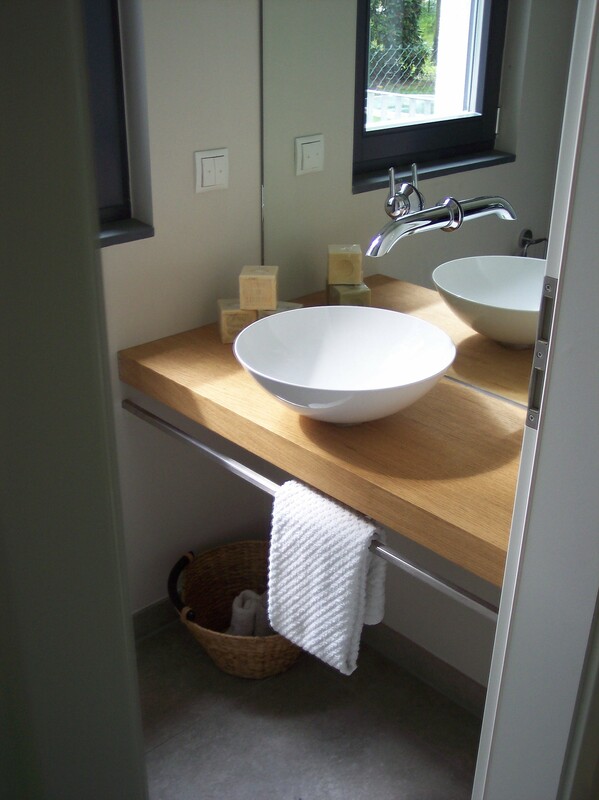 The common factor here is beautiful materials that emphasise the light. 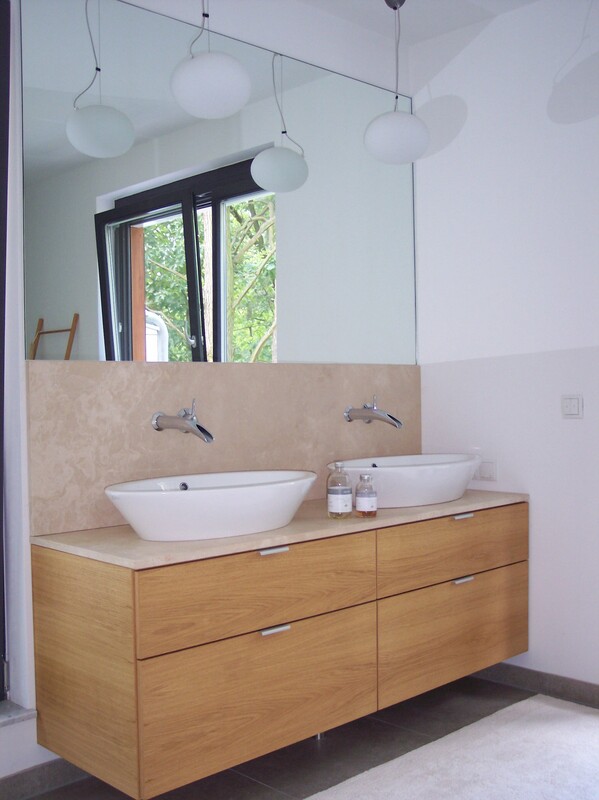 This was the vision when planning these three bathrooms for a light and airy new home in south west Berlin. 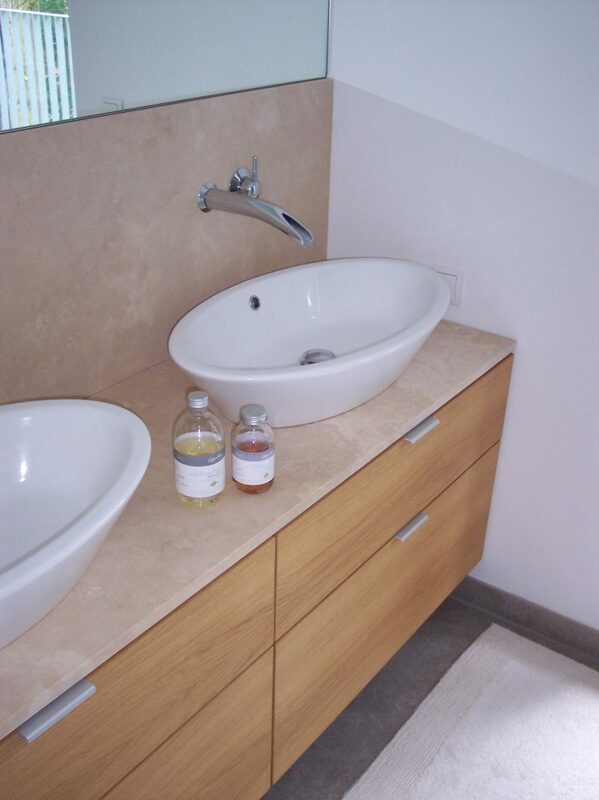 With it’s combination of floating oak veneer console, countertop bowl washbasin and fixtures mounted directly to the ceiling height mirror, the elements of the guest bathroom appear weightless. 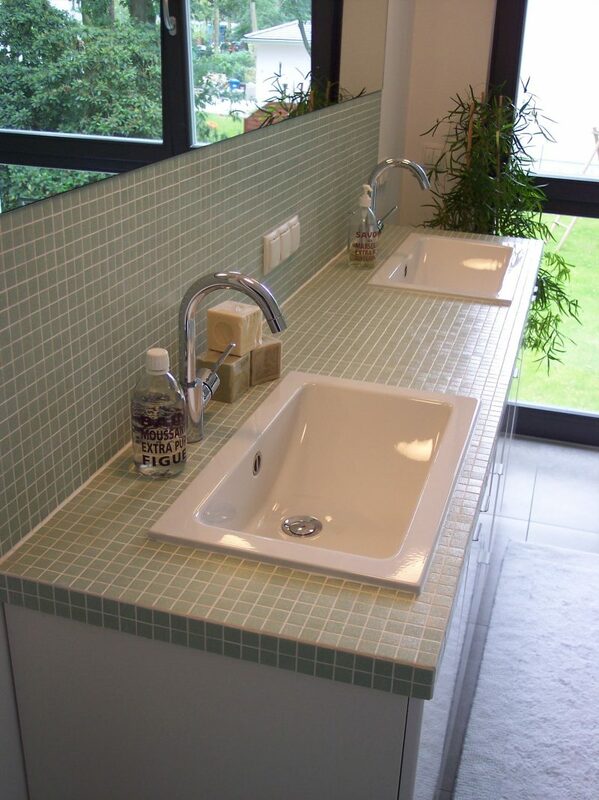 In the childrens’ bathroom, ready made glossy cabinets were modified with a sage green mosaic tiled countertop and backsplash, recessed double wash basins and swan neck fixtures. 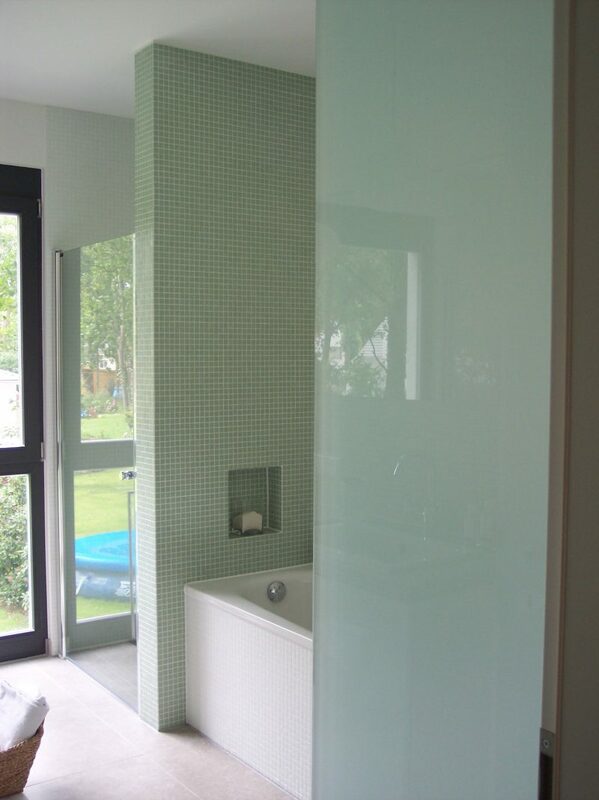 The large pale gray floor tiles add scale in contrast to the light reflecting glass mosaic tiles. For the parents wellness area, materials really came into play. Details such as the custom designed, double oak vanity topped with natural stone travertine, countertop wash basins and wall mounted fixtures, the spa like shower and an en suite sauna overlooking the woods, all combine to ensure a resort style spa atmosphere to be enjoyed everyday.